Kate Loffredo ’20, Alexis Chang ’21, and Chloe Smith ’20 attend the 2017 SURE Dance. It’s spring on The Hill now, and that means Prom season has officially arrived. The “Prom mindset” is prevalent across the Upper School. Many have already began thinking about whom they plan to ask and what they want to wear. 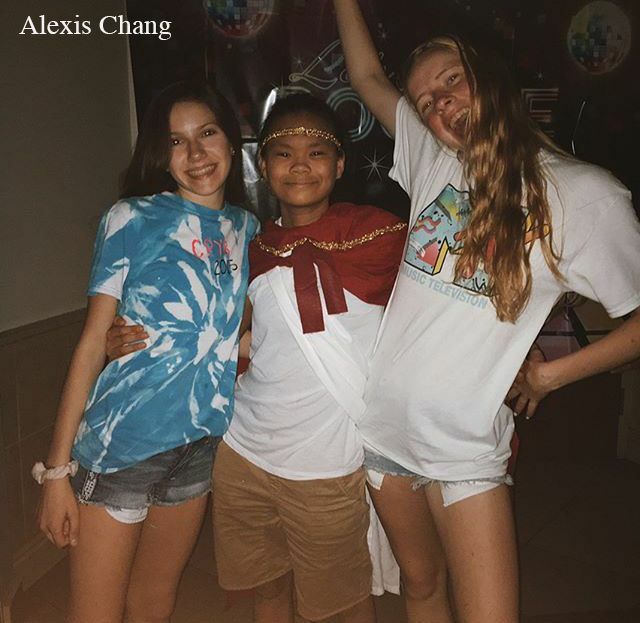 For those seeking a more casual dance that is open to both the Middle School and the Upper School, does not necessitate buying a dress, renting a tuxedo, or worrying about finding a date, the SURE Dance, on May 18, presents a wonderful option. SURE stands for Students Unite for Racial Equity and is one of the most involved and vocal organizations within the Hopkins community. The club organizes the Martin Luther King Jr. Assembly, brings various guest speakers to Hopkins in order to better inform the student body, and establishes values such as inclusivity and compassion in many creative ways throughout the year. The SURE Dance encompasses the inclusive nature of the SURE organization: it offers the opportunity to celebrate the different personalities and ideologies at Hopkins within an inviting atmosphere in which students from different grades can spend time together. According to SURE Club Heads, the dance is closely tied with the goals of the club: raising money for speakers and trying to bring together the student body. “This year, through monthly meetings and assembly announcements, we hoped to bring attention to different heritages and, through the SURE Dance, we hope to bring everyone together and celebrate those different heritages and cultures,” said SURE Co-Head Gigi Speer ’18. SURE Co-Head Lionel Louis ’18 noted that although the SURE Dance may be casual, its decorative flair and inspired theme choices always make the dance an exciting affair. “The themes make it special. It makes taking pictures and getting ready feel more exciting than most dances.” Every year, the dance has a new theme, which the heads announce a few weeks before the dance. Some of the past themes have been Beach, America, and Outer Space. This year’s theme will be decided based on a student vote. Students can also dress up based on the theme, allowing for much more creativity among students’ wardrobe choices.